Kenn Moritz has been with Stonewood since 2001 and has experience in business operations as well as in structuring, financing, and executing strategic transactions. In addition to his general mergers and acquisitions activity at Stonewood, Kenn has helped management teams through post-acquisition transitions and assisted managers with product line extensions, identifying acquisition candidates, plant expansions, and other strategic growth initiatives. Prior to joining Stonewood, Kenn was the owner and operator of a manufacturing company near Pittsburgh and practiced law with firms in New York City and Pittsburgh in the areas of structured finance, mergers and acquisitions, and venture capital. Kenn attended Carnegie Mellon University’s business school (MSIA 1988), the University of Pittsburgh School of Law (JD 1988) and the University of Pennsylvania (BS 1984). Kenn is a member of the boards of several of Stonewood’s portfolio companies. 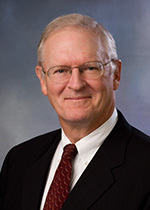 John H. Tippins has been with Stonewood at the director level since its inception in 1993, and on a full time basis since 1998. 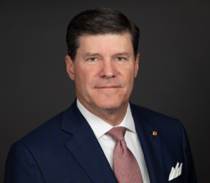 John has served on the board of directors of numerous Stonewood portfolio companies through the years, and has been involved in issues ranging from strategic planning, engineering and operations, to the development of management bonus programs. Prior to his involvement with Stonewood, John was a director and member of the management team of Tippins Incorporated, a family owned firm that designed and built rolling mill facilities for the metals industry worldwide. During his 20 years at the company, John’s role ranged from the design of various control systems to the creation of a brokerage division dedicated to the buying and selling of used steel mill equipment worldwide. John’s participation in the company ended when the company was sold to management in 1998. John currently serves as a director of the Tippins Foundation, a family philanthropic organization supporting education and research in the areas of entrepreneurship and Alzheimer’s disease. He serves as a Trustee of Pittsburgh Opera and is a member of the Advisory Board of The Institute for Entrepreneurial Excellence at the University of Pittsburgh. John H. Tippins was born and raised in the Pittsburgh area. 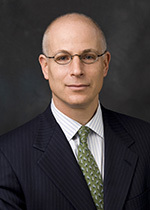 He is a graduate of Shady Side Academy ( ’78), Vanderbilt University (BE Electrical Engineering ‘82) and the University of Pittsburgh’s Katz School of Business (MBA ’87). Peter J. Muth joined Stonewood in 2007 and has experience in a full range of investment opportunities, including traditional LBOs and early stage ventures. Pete serves as a board director for several Stonewood portfolio companies and is also an outside board director for Pittsburgh-based manufacturer Clark Precision Machined Components. Prior to joining Stonewood, Pete was a principal of private equity group Birchmere Capital Limited Partnership. 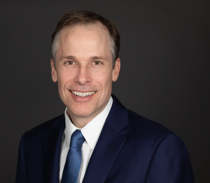 Before moving into the private equity arena, Pete spent seven years with PNC Bank in the Energy, Metals and Mining lending group and the Corporate Credit Policy division. Pete also served as Treasurer on the Education Foundation Board of the Community College of Allegheny College and was awarded emeritus status. Pete is a graduate of the University of Dayton (1990) and earned an M.B.A. from the University of Pittsburgh’s Katz Graduate School of Business. George Knapp passed away on July 21, 2014 after a long battle with oral cancer. George was a mentor to all of us and is greatly missed.